Experience a world where you wake up every day to some of the most captivating, picturesque views that the Treasure Coast has to offer. This is a custom-built boater’s paradise where no detail has been overlooked. The elegant Sebastian home, built in 2008, has four bedrooms, three baths, a three-car garage, and a galvanized metal roof. This amazing opportunity sits over the St. Sebastian River on just over a quarter of an acre. The backyard is completely fenced-in and offers plenty of space for entertaining. You won’t miss a thing with panoramic river views from almost every room in the house. Experience incredible, perfect sunsets from inside and outside living areas on the first and second floor. Upon walking into the 3600+ square foot home you will notice the exceptional details and the custom design work that this home has to offer. The main living area is on the first floor and includes a luxurious gourmet kitchen with custom cabinets made of quarter-sawn oak and designed with soft close drawers and doors. 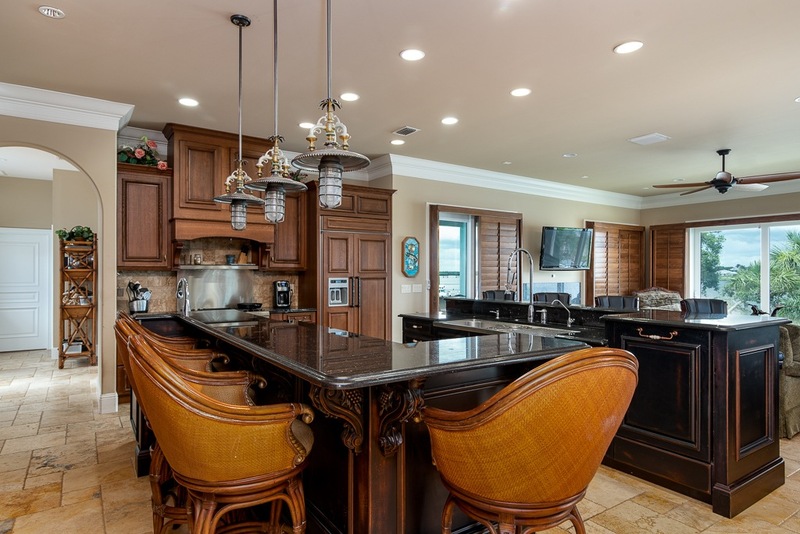 If you love a lot of counter space then you will fall head over heels for the two twelve-foot islands that could sit a party of eight for a fantastic night of dinner entertaining. Other amazing features of this kitchen are the custom designed hood, five-foot commercial grade stainless steel sink with a separate stainless-steel vegetable sink, gorgeous granite countertops, elaborate four burner stove with griddle, custom built in refrigerator with wood veneer and last but not least, a “secret” oversized built-in pantry. Moving along to the living and dining areas downstairs you will discover so much more all while walking on the immaculate travertine French pattern avian gold stone. The entire ambiance of the home was designed thoughtfully for the love of the sea. Every room in the home expresses a nautical theme mixed with earth tones and a variety of carefully selected stone, woodwork, glass, and metal. The design reminds you of being on an elegant, luxurious ship. In the living area you will notice one of the two wood burning fire places. The stone work around the fireplace is stunning and also gives the room a cozy feel. 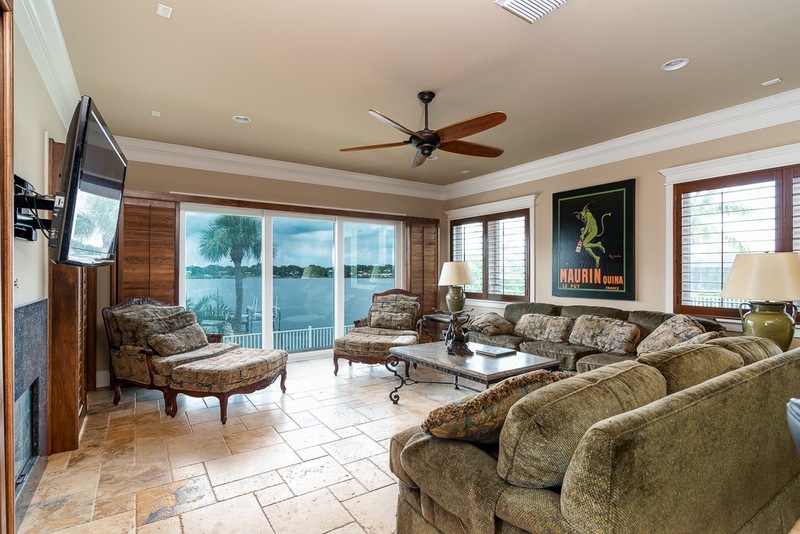 The large PGT impact resistance windows open up the entire room to the captivating views of the river, the tropical landscaping and the large private dock with two 13,000-pound boat lifts. 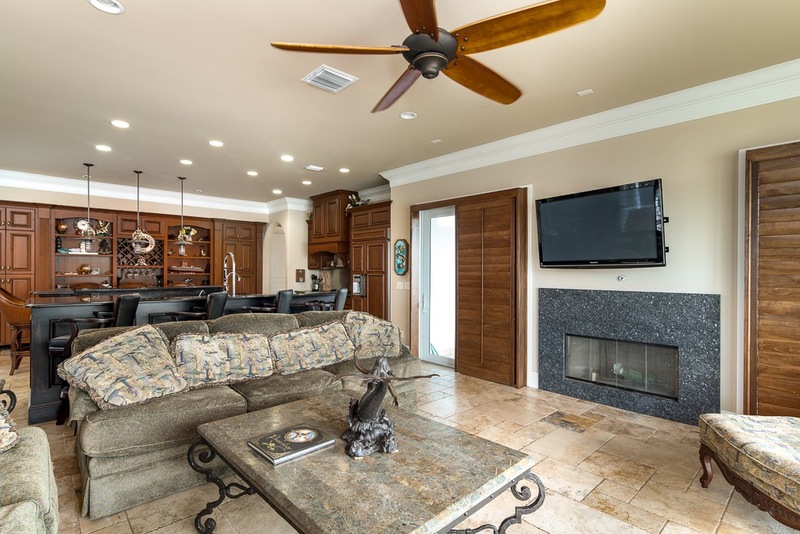 Other inside features and upgrades of this home include, two- tier crown molding throughout the downstairs living areas, all custom solid wood doors throughout, with oil rubbed bronze ball bearing hinges and hardware, and a whole house water treatment system. The master suite does not disappoint, boasting gorgeous, reclaimed wood flooring from the Ming dynasty and an unforgettable view. The master bath is custom designed with a six-foot Jacuzzi tub designed with a dolphin water spout. The large walk-in shower has seven spray heads and was built from a beautiful array of elegant stoned tile. You will love other bathroom upgrades like the custom mirrored cabinets for extra storage, and the beautiful aromatics’ cedar cabinetry in the master bedroom walk-in closet. The 2nd floor of the home is entered through beautiful solid wood stairs. There is a large living area with the 2nd wood burn fireplace, which is adorned in beautiful aquamarine glass tile. The upstairs is pre-plumbed for a wet bar and also has a door to the outside balcony where you can relax and watch the sailboats go by. Sebastian is a beautiful recreational riverfront town offering premier salt water fishing and “Old Florida” charm. 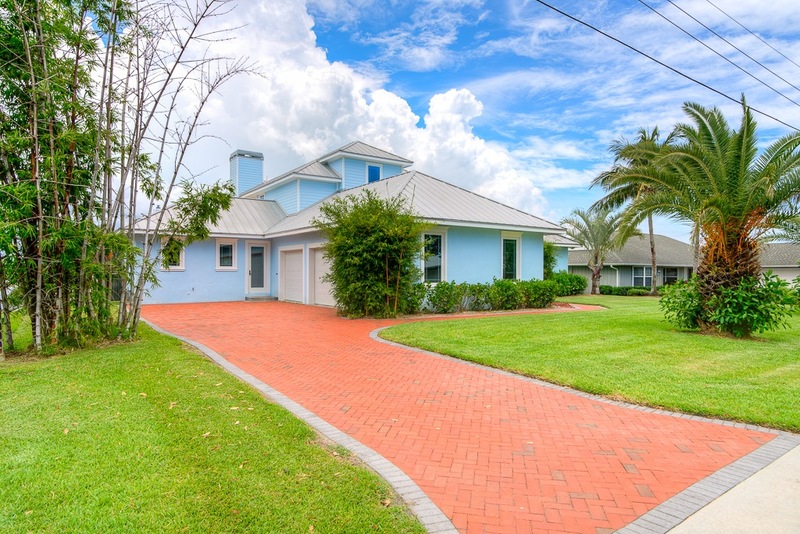 This property offers the best of what the Sebastian lifestyle has to offer. 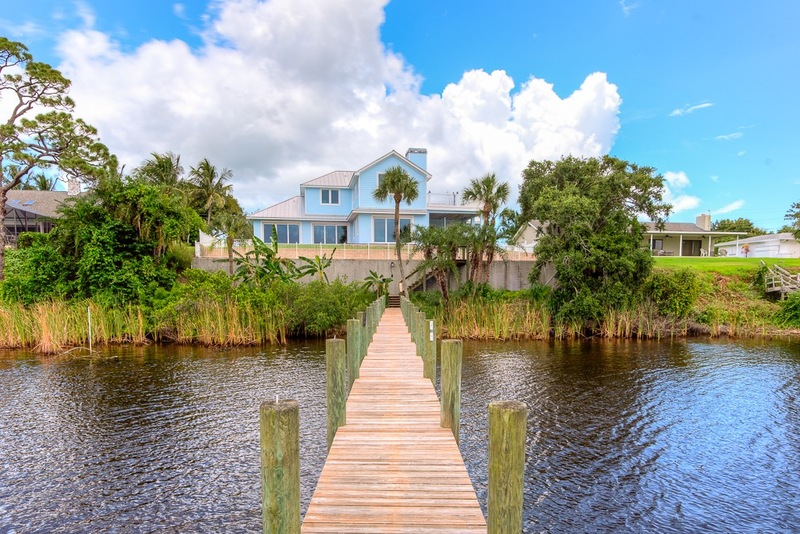 Make this home your private riverfront oasis. Come discover this treasure by calling us today for a private tour.